Looking for the best compression socks for flying and travel? 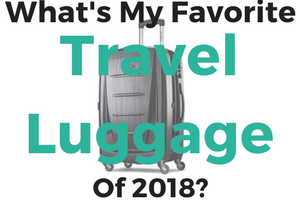 Once considered a travel item strictly for over 50’s and pregnant women, travel compression socks are becoming a great addition to anyone’s carry on luggage. There are numerous health benefits to wearing compression socks, especially if you are a frequent flyer that loves to board long-haul flights to explore everything the world has to offer. If you’re one to fly to the other side of the globe, as far away from home as possible then it’s definitely worth doing some research on the benefits of compression socks for long haul flights. Why Should You Buy Compression Socks? As the name suggests, these socks are for the youthful vagabond who seek comfort at every level possible along their journey. They come out on top of advanced trials which ensure compression levels are graduated from the ankle to the knee at appropriate levels for effectiveness. The Wanderlust Air Travel Compression Socks are geared towards travel use, but can be used for daily use and sports as well. Their normal looking style makes them almost unnoticeable and blend in with your other socks. However, you’ll get 25-30 mmHg graduated compression from these high-quality compression socks. 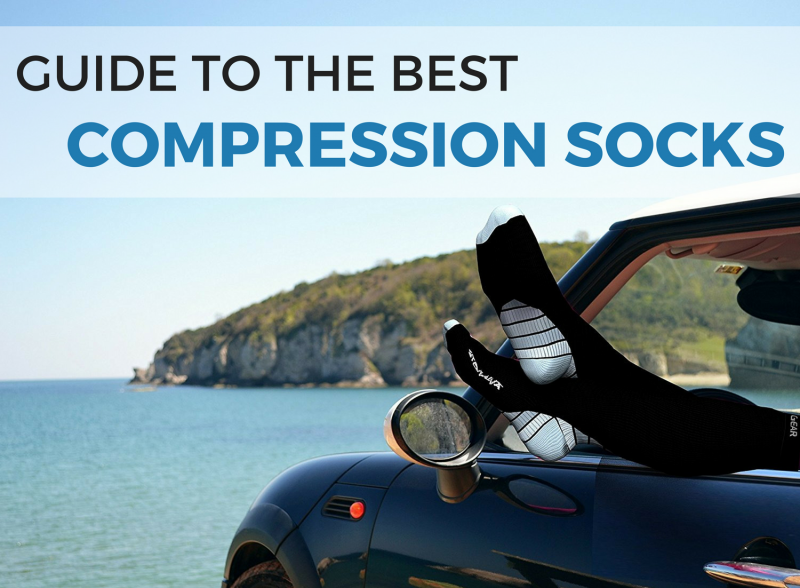 Compression is 25-30 mmHG at the middle of the leg and calf and 10-15mmHG under the knee. Designed with a seamless toe box for comfort and extra ankle and arch support the socks provide a comfortable fit. They have great feedback and are rated as one of the most comfortable compression socks for extended period of wear. This is thanks to their unique blend of brushed cotton, polyester, nylon, and lycra. Most socks don’t have near this much cotton, so if you are looking for a sock with a cotton feel these are your best bet. The socks are some of the best compression socks for the money, however due to the fabric blend used they may not last as long as other models. Danish Endurance strive to provide top quality products and take their customer feedback seriously. These compression socks in particular feature a cushioned and padded footbed and added ventilation to prevent sweating and encourage proper air flow. 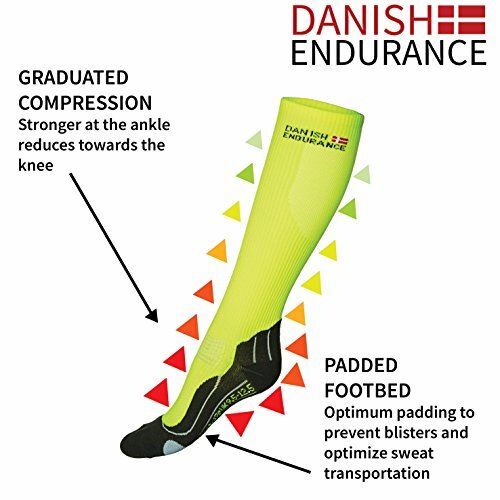 The DANISH ENDURANCE Compression Socks are 100% sweatshop-free and produced in the EU. This ensures that you are buying an high-quality and ethical product. These medical-grade socks provide 18-21 mmHg graduated compression from the lower foot to below the knee. A super comfortable fit not only give you functional compression, but a padded foot bed for shock absorption and ventilated stitching to help keep your feet cool in hot conditions. They are a great option for frequent travelers to endurance athletes and come in a variety of color options. Danish Endurance products have been tested by the Swiss MST IV (Medical Stocking Tester technology) used by many Olympic runners and navy-seals. This just goes to show that they produce a quality product and in terms of sports performance these are some of the best compression socks. Physix are leading the way in style featuring a great sporty design, moisture wicking properties and a cut above the rest when it comes to comfort. Regardless of the temperatures you wear these compression socks in-they will breathe with you. These compression socks are geared towards running and other sports, but are a versatile option for anything from travel to work. Fitting just below the knee, they are a great option for knee high compression stockings. The socks are designed to provide a compression level of 20-30 mmHg. This is the perfect compression level for most wearers. The design of the socks are suitable for both men and women and come in a stylish, yet simple black and white color design. Manufactured in Italy, these compression socks guarantee quality at the finest level. The Silver Drystat material is unique to VitalSox making it ideal for keeping away any unwanted bacteria due to the moisture wicking properties and ventilation system. This also means a reduction in foot odor and makes them quick to dry for those on the go. 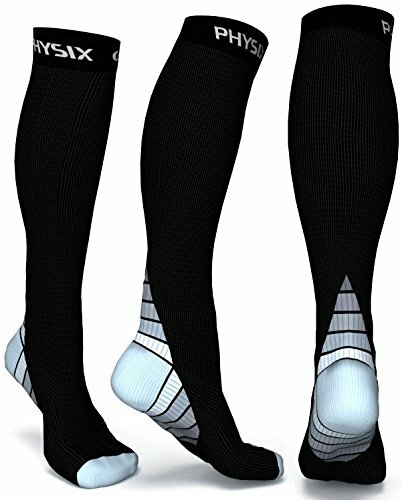 Vitalsox is known to produce some of the best compression socks has patents that they believe provides the ideal compression design. This makes their socks have the perfect graduated compression levels to give you the boost to your circulation that you need. Whether you plan to exercise or travel on longer flights with these socks, they are proven to work. If you are looking for a more running oriented compression sock from Vitalsox take a look at their Vitalsox Compression Performance Sock. The standout feature with these compression socks is the choice of quality fibers including merino wool which is guaranteed to last for years of travel. Adding bamboo rayon material makes them environmentally friendly and they are manufactured right here in the US. The Sockwell Circulator Compression Socks are a favorite among both men and women. The Sockwell Circulator sock is offered as both a compression sock for men and compression sock for women. It has a unique material blend including merino wool and bamboo rayon for ultra comfort and wicking properties. The sock provides mid-level compression at 15-20mmHg and is ideal for longer periods of wear. You’ll even be comfortable wearing these socks all day when flying and traveling or when using them for exercise and recovery. The socks construction includes Accu-fit technology which has spandex throughout the sock to make the sock retain it’s fit all day long. The toe box is seamless and a padded sole and arch support ensure and snug and comfortable fit throughout the day. 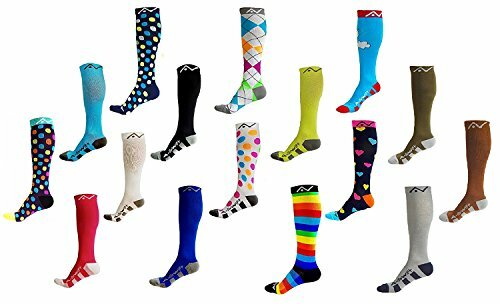 Available in a large array of colors and patterns these compression socks are for those with bright personalities who love to get creative. The use of silver yarn anti-bacterial fabric allows you to travel stress- free without any odors meaning a much more comfortable wear. 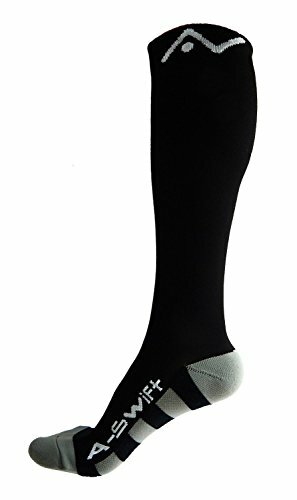 For anyone looking for an anti-bacterial compression sock, the A-Swift Compression Socks is a great option. It provides 20-30 mmHg graduated compression starting at the foot up to below the knee. Plus, the socks come in a wide array of colors, so you’ll be sure to find just the right style for you. The manufacturers at Blitzu have developed a unique feature of “kinesiology taping” which is comparable to a kinesotherapy experience on your feet! They are designed for every day use and are therefore extremely durable. Other unique features are the vertical ribbing technology, ensuring protection of the arch area of your foot, along with a seamless toe construction to prevent rubbing and irritation. 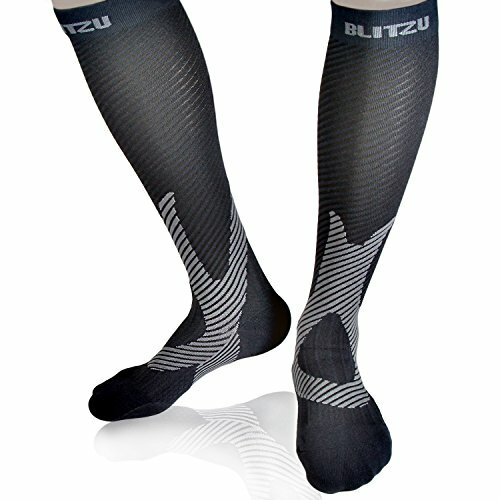 The Blitzu Compression Socks are designed ultra comfortable for everday and outdoor use. They are perfect for when you are sitting on the plane during long flights, but also ideal for running, hiking, and outdoors. They are built with a unique circular knit structure that provides 360-degree stretch for increased flexibility and durability. The fit on these socks is superior to most and they are sure to stay put after you put them on. Mubasel have focused strongly on great quality material with a 200 needle count nylon and lycra blend. These compression socks feature additional ankle stability along with the standard maximum compression in this area. There is also a focus on strong support of the arch area for extra comfort. The nylon and lycra blend used on these socks is perfect for active wearers and the ventilated areas provide exceptional breathability. These compression socks come in several colors with a solid design so you can get away using them as your everyday socks if you wish. Just as the same implies, compression socks are socks or stockings that apply pressure against your skin when wearing them. This is achieved by using high-strength fabric that fits tighter and resists stretching out during extended wear. The first thing you’ll notice when you put of pair of compression socks on is that they feel a lot tighter than you everyday socks. This exactly what you want, and once you get them fully on they are incredibly comfortable, applying pressure evenly across your feet and legs. Compression socks have proven health benefits for anyone who sits or stands for extended lengths of time or who has poor circulation. 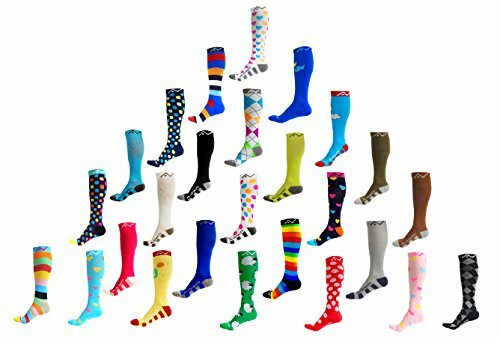 Although at first they were just used in the medical industry, now compression socks are available from a wide array of manufactures, in numerous styles and colors, and at affordable prices. They cost around or a little more than typical high-quality everyday wear socks. Today compression socks are widely used by athletes, frequent flyers, nurses, and anyone else who can wishes to seek the benefits from them. Compression socks are widely used to manage blood flow to the legs and feet. They have been used to prevent venous conditions such as deep bone thrombosis (DVT) which is when blood clots can form in the lower limbs. This is a potential side effect for those traveling on long haul flights that remain immobile for a long period of time. A whole new market opened for travel compression socks as various studies suggest their effectiveness in the prevention of blood clots, pain, discomfort and swelling during air travel. In particular they apply pressure most strongly to the ankle with the amount of compression reducing towards the knee. By increasing the pressure to arteries and veins in the lower limbs, blood then travels back towards the heart, leaving much less blood to be “trapped” in the lower limbs. With so much involved in long haul travel as it is, you don’t want to add extra stress to your trip by dealing with aching, swollen legs and worse still—suffering from a potentially serious condition. You don’t need to be old or have any pre-existing circulatory issues to indulge in the comforts of travel compression socks. The main reason for wearing them is the prevention of the more nasty effects of lengthy travel—you know that feeling that your feet are going to explode after sitting in your airplane seat for 8 hours. Compression socks are a simple and easy solution to end swollen legs from long travel days. Not to mention they are easy to put on and have been proven over time to be highly effective. Lymphedema – When lymph fluid collects abnormally in a particular area of the body causing painful swelling- common the arms and legs in particular. Deep Vein Thrombosis (DVT) – the formation of blood clots in the deep veins of the lower extremities caused by too much blood collecting in the thighs, legs and ankles. Varicose Veins – The pooling of blood just below the surface of your skin which results in visible and raised veins on the surface. DVT in particular can become a life threatening disorder and any steps to prevent the occurrence of DVT on long haul flights should be taken. Aside from the more serious disorders as mentioned above, travel compression socks are great for overall comfort and relief of tired legs. Reduces swelling. Compression socks help circulation and blood flow in the lower leg and can reduce swelling caused from sitting or standing for long periods of time. This includes sitting on long-haul flights or just working long hours. Quicker recovery. Athletes have quickly adopted using compression socks to improve circulation to help speed up recovery of muscles. With increased blood flow to damaged muscles the recovery process is sped up. Comfortable for Everyday Wear. The best compression socks are super comfortable and stay in place when doing activities. 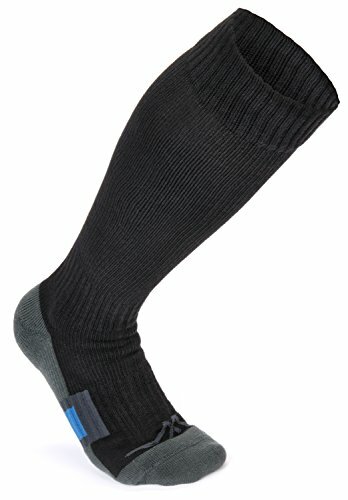 This makes them great for sports such as running, skiing, and anything else where you don’t want you sock moving around. Extra Warmth. Compression socks double as a great extra layer during colder months or when out in cold conditions. They fit tighter than normal socks which makes them ideal for layering. Or just using them as a light single layer on your legs, similar to tights. How much compression do the socks have? On the market you will find five different levels of graduated compression measured in millimeters of mercury (mmHg). Each person looking to use compression socks may be interested in them for a different purpose. Thus, need a different level of compression. 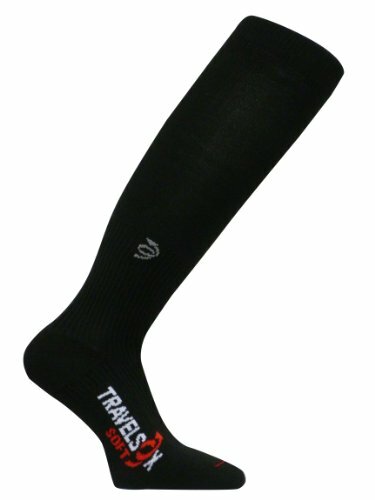 For travel compression socks you want to look for anywhere between 15-30 mmHg (Moderate to Firm). You don’t need a lot of compression for casual use and the most common is a low level compression of around 20 mmHg. You’ll find a lower level of compression more comfortable to use for longer periods of time and sports. Plus, most people without a medical condition don’t need more than this. Just for comparison, medical compression socks provide around 15 mmHG to 40 mmHG at a upper level. This high level of compression is more than necessary for everyday use and you may find them over restrictions and tight. With any socks you buy, you want to make sure you get the proper fit. This is even more important with compression socks and although they are incredibly stretchy, having the right size will mean better performance. 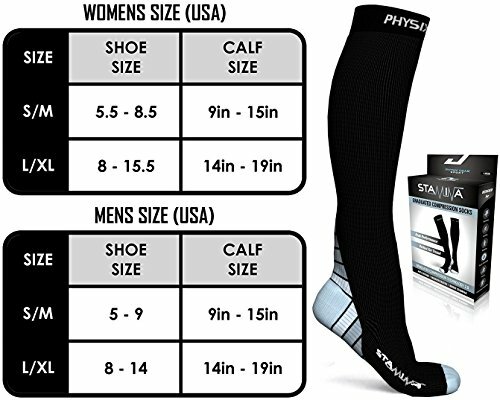 To start you will first want to compare the sizing guide for each manufacture when comparing the best compression socks. Similar like normal socks, most brands publish a sizing chart like this one, so you can easily look up your shoe size and determine which compression sock size will fit your foot best. The best compression socks will fit snug and wrap tightly around your toes all the way up to the top of the sock. A correct fit will ensure the socks provides sufficient compression on all parts of your foot and calf. For a sizing tip, I always recommend not going with a size down if you are between sizes. This is because compression socks are already very tight and too small of a sock may feel constricting during use. You can still get the benefits of the sock and they won’t feel overly tight when using on long flights. The most popular and common compression socks for flying are knee-high compression socks. At this height they still serve their health purpose and are not overly difficult to put on. You can easily slide them on before leaving for the airport or even in the departure hall. Plus, you can take them off easily during flight if you want. Plus, and knee high compression sock almost looks like a normal sock and can be used as such. If you go with a higher compression sock they are considerably more difficult to put on and take off, which means it can be inconvenient during your travels if you need to use them. Compression socks function by having a strong and stretchy material that provides equal compression across your feet and calves. Thus, material is important when choosing the best compression socks. Most brands use a blend of nylon, lycra, polyester, spandex to create just the right compression and performance. The first compression socks were made from spandex, but many found them uncomfortable to use. Now, with blended fabrics, they are more breathable and wicking for better wearing performance. Depending on the material the look and feel of certain compression socks will vary. The best compression stocking and socks are hard to distinguish from normal socks, which makes them great for everyday use. 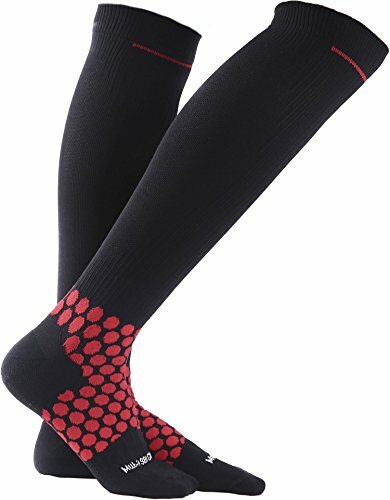 You can also find compression socks made from a mix of merino wool and anti-bacterial fabrics. This can help keep bacterial growth down and reduce smelly odors after extended use of the socks. In order to apply enough compression the socks can be thick, and of course you don’t want your feet to get too hot when wearing. You’ll want to consider how thick the material is and look for socks that feature in-built ventilation technology. You’ll find that most compression socks on the market are made as unisex models. The design and construction of the sock normally does not differ between men’s and women’s version and performance should be the same. However, you can also find some brands that make of compression socks for women and compression socks for men if you want a specific fit and size. Lastly, color choice may be important to you, especially if you plan to wear your compression socks with shorts, skirts, etc. In this case, you’ll have to decide if you want to stand out from the crowd with bright colors or stick to plain black. 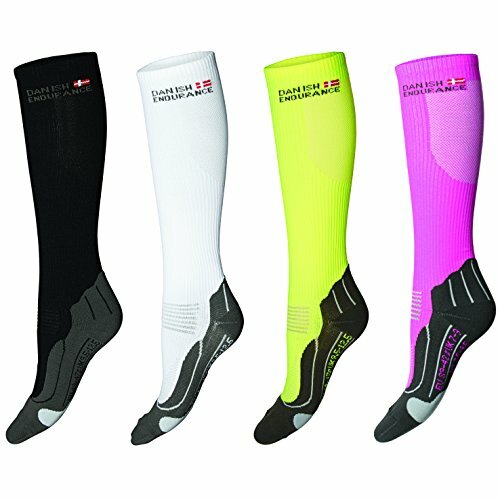 There are tons of color options of there when it comes to compression socks. This makes it not only fun for shopping, but also perfect for finding the right style that fits your needs. Compression socks are a simple solution for preventing the nasty side effects of long haul traveling. The last thing you want is to arrive with swollen legs, or a worse condition such as deep vein thrombosis. These are just a few of the best compression socks for women and men, with most models suitable for both. 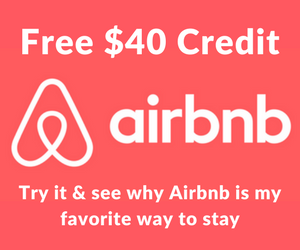 They offer warmth and a level of comfort which goes a long way to making your trip that much more enjoyable. There are many different colors and designs available on the market, suggesting their popularity across all age groups. 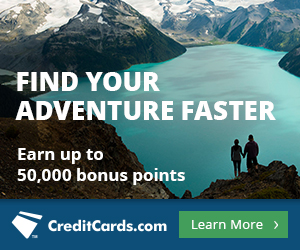 I’m sure now you know a bit more about their benefits, you will begin to notice just how many travelers wear compression socks! 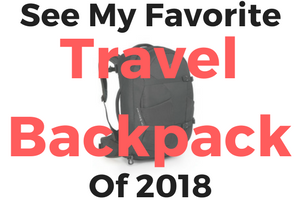 Take a look at our other travel gear guides such as the best travel pillows, the best packable rain jacket, and other top rated travel gear.